Unbelievable Power within an Elegantly Designed GPUEnjoy the latest games in their fullest glory with the AMD Radeon VII graphics card. Powered by 7nm technology, Radeon VII has 45% more memory and 66% more memory bandwidth than other the competitive gaming GPUs in its class, delivering vivid gaming visuals in up to 4K and virtually limitless content creation in 8K, VR and more. With support for DirectX 12 and Vulkan the AMD Radeon VII will deliver incredible gaming experiences with ultra-smooth and consistently high framerates at 1440p, ultra wide and 4K. With 16GB of HBM2 memory the AMD Radeon VII is suited for memory intensive applications. Create content with ease, even in 8K resolutions, improve your work pipeline and enjoy it at the same time. 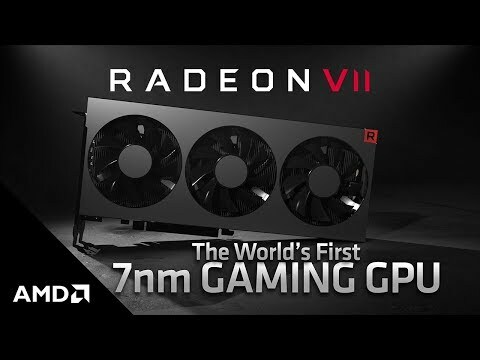 World’s First 7nm Gaming GPU With the Radeon VII, AMD have brought the world’s first 7nm gaming GPU to the market, with a huge 16GB HBM2 memory and blistering speed of 1TB/sec memory bandwidth, the Radeon VII has increased memory and memory bandwidth that trumps other GPUs in its range, the extra performance will help deliver more stunning visuals and greater performance in games and content applications alike. Unrestrained Performance even at 4K MSI’s AMD Radeon VII is ready to meet the demands for high performance gameplay with support for DirectX 12 and Vulkan. Ready to deliver incredible gaming experiences with beautiful graphics and at super-high framerates the AMD Radeon VII will give you an unforgettable experience at 1440p, ultra-wide and even in 4K. AMD Radeon VII FreeSync and FreeSync2 HDR Pair your new AMD Radeon VII GPU with a large selection of adaptive sync gaming monitors. Due to the large selection of monitors equipped with Radeon FreeSync or Radeon FreeSync2 HDR you can enjoy choosing monitors that are styled and run how you want, whichever you choose, you know that putting AMD Radeon FreeSync with an AMD card of this performance will result in stutter-free, tear-free and artifact-free smooth gaming. Stream, Share and Tweak Graphics Settings in Real Time Gain more control over your gaming experiences with AMD Radeon’s Adrenalin 2019 Edition. Don’t miss a second of the action as the AMD software lets players stream, share and tweak graphics settings. Don’t compromise on your performance and stay ahead of the game. Gain a performance boost to your system MSI Afterburner is the world's most recognized and widely used graphics card Overclocking software. 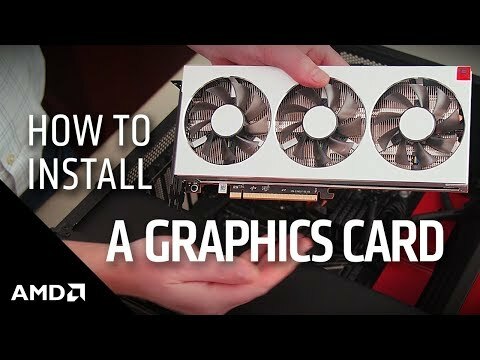 It gives you full control of your graphics card and enables you to monitor your system's key metrics in real-time. MSI Radeon VII 16GB HBM2 VR Ready Graphics Card, 7nm 2nd Gen. Vega, 3840 Streams, 1400MHz GPU, 1750MHz Boost is rated 5.0 out of 5 by 1. 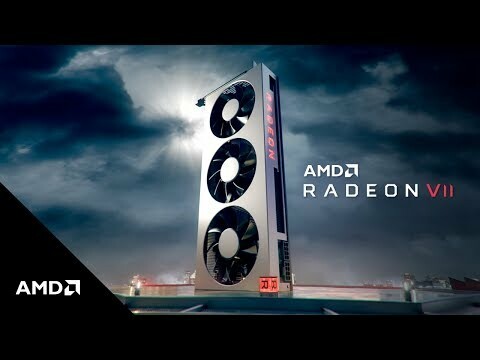 Rated 5 out of 5 by Will1973 from Amazing performance I think what AMD have achieved with the Radeon VII architecture is amazing - how have they come up with a card that delivers most (or more, depending on the application) of the performance of a 2080ti, for around half the price? Availability also seems much better than for the 2080ti despite it being more recent and based on a 7nm architecture - I pre-ordered mine thinking it could be some time before it would materialise so I was very pleased when it was delivered rather swiftly. The card itself is a great looker, is dual-slot in width and relatively easy to install - just needs 2 8-pin power plugs. It is true that the card can be a bit power hungry and can run hot on intensive applications but in my experience undervolting by up to 20% helps without sacrificing much by way of performance. Muchly recommended.